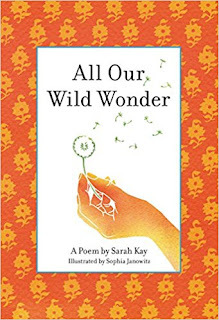 I'm a teacher, so it was heartwarming to get a chance to review All Our Wild Wonder, a single-poem book by Sarah Kay. It's a touching tribute to her elementary school principal, Mrs. Ribiero. It's actually a book that would make a good gift for teachers and those who have inspired you or your kids. I can honestly say that, as a teacher, I've never been giving a poetry book! 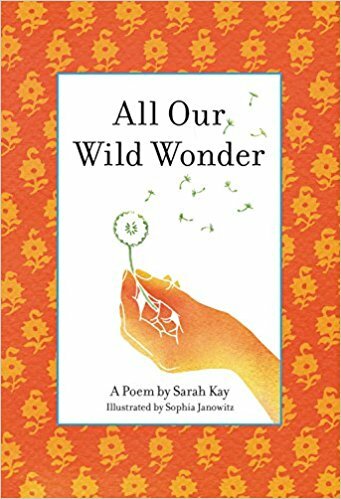 Although not every teacher will be exactly the same as Mrs. Ribiero, all teachers will be able to appreciate the book as a sentiment of how much they have inspired their students in their own ways. I have an excellent chance to give away quite a few copies of this book - so if you haven't entered a giveaway before because you didn't think you'd win, now is a great time to enter. Ten people will receive a copy of the book. To enter, leave a comment by June 6th with one way that a teacher in your life has inspired you.